Brazil, the largest democracy in Latin America, has been undergoing one of the most hotly contested presidential elections of its recent history. 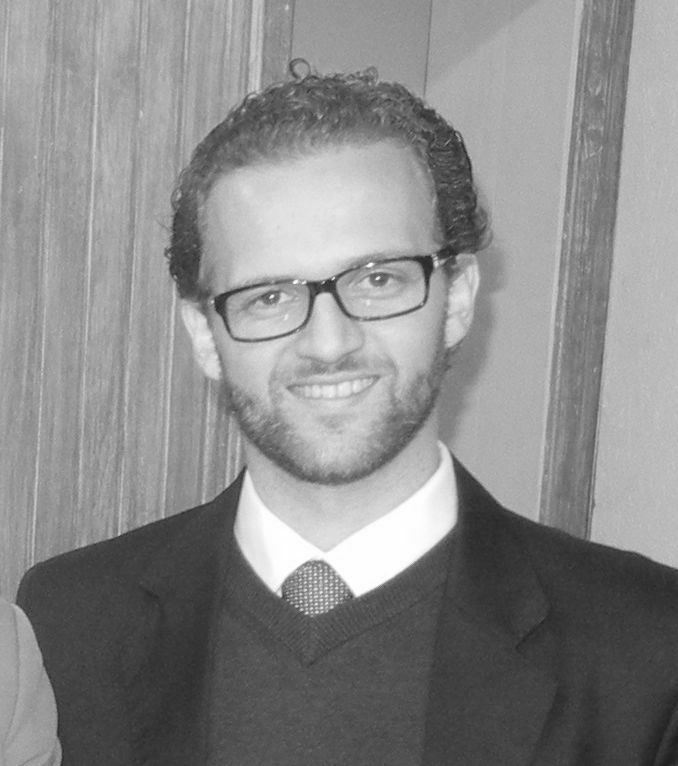 This intensity is due to an unusual event: the death of the third place candidate Eduardo Campos (PSB, Brazilian Socialist Party) in a tragic plane crash on August 13. Despite growing dissatisfaction with her Presidency, the reelection of Dilma Rousseff (PT, Workers Party) seemed assured, since neither her main opponent, the centrist Social Democratic Aécio Neves (PSDB, Brazilian Social Democratic Party), nor Mr. Campos posed serious threats. PT’s confidence also stemmed from the fact that the principal threat to their campaign, Marina Silva, was not running for President. 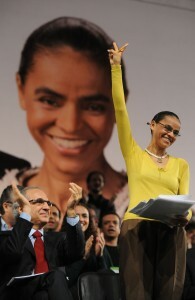 Since the last election, Brazilians have seen Ms. Silva as the next strong candidate for President. A former Senator and President Lula’s (PT) Environmental Minister, Marina Silva obtained an astonishing 19% of the votes for President in the first round of the previous elections, running for the Green Party (PV), after leaving PT. Having failed to establish her own new party to run again this year, however, she agreed to join Mr. Campos’s campaign as candidate for Vice-President. Ms. Silva’s affiliation with the PSB was a surprising and very last-minute decision. The “third way’s” hope was to transfer Ms. Silva’s popularity to Mr. Campos’s campaign. To President Roussef’s relief, this strategy failed, as Ms. Silva paradoxically maintained higher popularity and higher vote intentions than her candidate, who was unknown to the public at large. A poll by Datafolha Institute in December, 2013, ten months before the elections, simulated two scenarios: Dilma Rousseff running against Aécio Neves and Eduardo Campos; and Dilma Rousseff against Aécio Neves and Marina Silva, instead of Mr. Campos. In the first scenario, Ms. Rousseff won 47% of the vote intentions, followed by Mr. Neves with 19% and Mr. Campos with 11%. 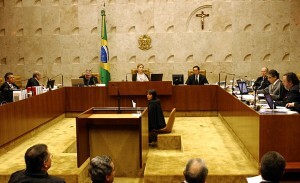 But in the second scenario where Ms. Silva was placed as a Presidential candidate, the outcome became Ms. Rousseff with 42%, Ms. Silva with 26%, and Mr. Neves with 15% of vote intentions, even though at the time of the poll Ms. Silva had already said she would be a candidate for Vice-Presidency with Mr. Campos. This means, from the Workers Party’s standpoint, the main opponent was actually out of the race, running hidden as Vice-President on a candidacy that had not taken off. A few days before Mr. Campos’s death, it was possible to predict an effortless victory for Ms. Rousseff. IBOPE Institute’s poll, carried out between August 3 and 6, indicated Ms. Rousseff with 38%, Mr. Neves with 23%, and Mr. Campos (with Ms. Silva as Vice-President) with 9% of voting intentions for the first round. 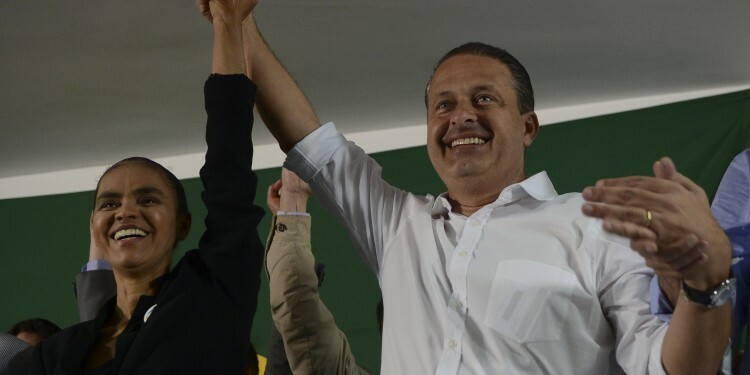 The same poll indicated that the runoff election would be won by Ms. Rousseff in both situations: she maintained a lead of 42% against the 26% of Mr. Neves and 44% of voting intentions if the second round was against Mr. Campos, who carried 32% in this situation. The tragic death of a hitherto supporting-role candidate should not change the traditionally polarized Brazilian presidential dispute. If Mr. Campos were still alive, he could even have a future in politics — as a matter of fact, he was quite young, dead at 49 years old. His plan, clearly, was to pursue media exposure in this election in order to have a more viable candidacy four years later. His strategy as an alternative to the polarization of PT vs. PSDB was to introduce himself now and hold a stronger candidature in 2018 — exactly what his runningmate Marina Silva had tried, with some success, in the previous election. The death of a young promising presidential candidate, even one playing a supporting role in this election, is a rare fact by itself. But his death and the consequence of Ms. Silva becoming a candidature in his place, despite drastically altering the Brazilian electoral setting, changes nothing in the political-institutional setting. The electoral setting changes because the polarization of Workers vs. Social Democrats, which had been repeating itself for the last twenty years, is now broken. Marina Silva not only took second place in the polls, casting aside Aécio Neves, but has also become a real threat to President Dilma Rousseff’s reelection. Polls indicate a tie and even a small advantage to Ms. Silva in the runoff. In a poll released on September 11, Datafolha shows, in the first round, Ms. Rousseff with 36%, Ms. Silva with 33%, and Mr. Neves with 15% of vote intentions. For the runoff, the same poll shows a technical draw on the edge of the margin of error: 47% to 43% in favor of Ms. Silva, after her advantage has been 50% to 40% in late August. Similarly, IBOPE also indicates at least a tie between Ms. Rousseff and Ms. Silva. A poll conducted between September 5 and 8 shows Ms. Rousseff with 39%, Ms. Silva with 31%, and Mr. Neves with 15% of the vote intentions for the first round. 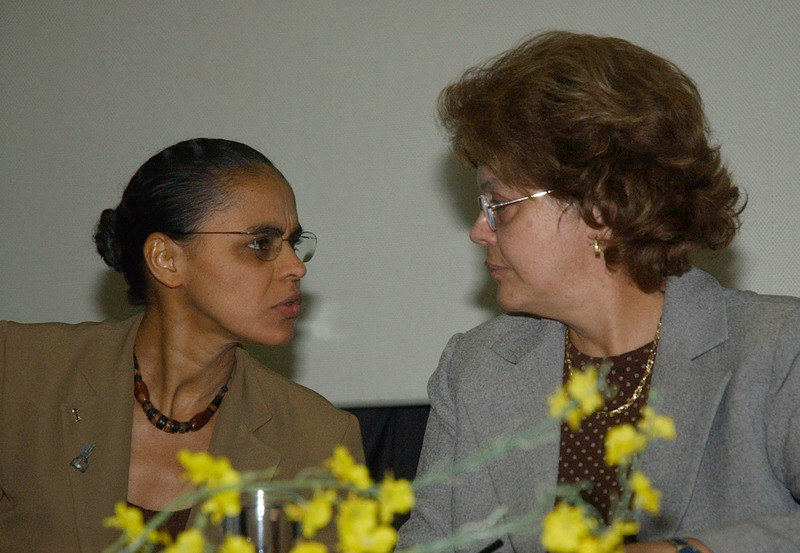 In the dispute between Ms. Silva and Ms. Rousseff in the second round, it indicates a technical draw: Marina Silva with 43% and Dilma Rousseff with 42% of the intentions. This example is enough to illustrate the argument. The very generic and prolix language of the three candidates is recurrent, visible, and criticized (and mocked) on social media. The hope of a true and frank political debate unfortunately did not last. 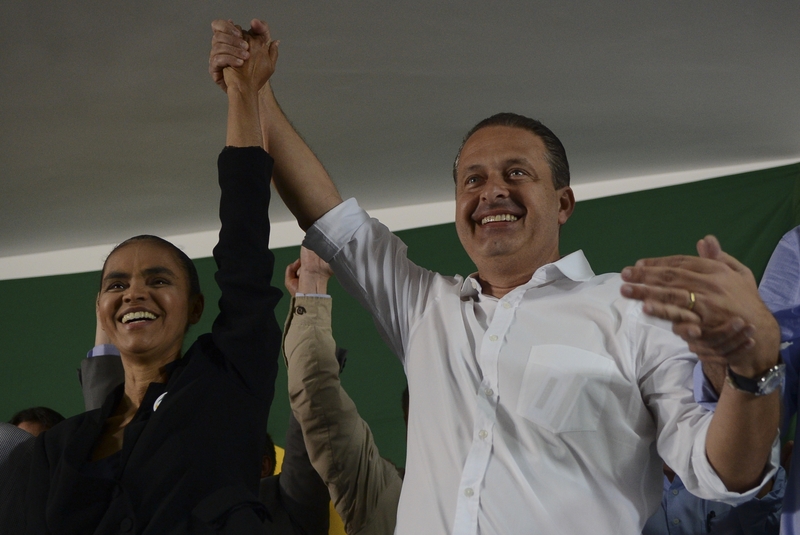 Being truly exposed, and with real chances to win for the first time, Marina Silva has shown the same incongruity of the other candidates — in spite of her posed image of “new politics,” the motto of her “third way” candidacy. To accentuate the criticism of her shift on controversial matters, it seems her step back was motivated by the reactions of her evangelical supporters (Ms. Silva herself is evangelical), who possess a decidedly more conservative hue. Following the supposedly most efficient political strategy in Brazil, candidates, in order to try to please the largest margin of voters, and hoping not to damage their images in controversial issues, nourish proposals and sustain contradictory positions. This applies not only to candidates for the executive branch but also to legislative candidates. The same logic is shown in the political parties that hold inexplicable physiologic and contradictory alliances at the regional and national levels, which completely contradict their ideological and programmatic perspective. Perhaps the electoral setting in Brazil has changed as the polls are showing, but the political–institutional setting remains unchanged. Political decisions, controversial by nature — especially in a pluralistic society such as Brazil — will continue to be pushed to other institutional spheres, where political arguments do not play a main role. The questionable “judicialization of politics” is also a result of this hesitancy of politicians: by failing, most times on purpose, to address the controversial issues, politicians are in fact stealing from the citizens the right to dictate the direction of the country. The result is that such political issues are not discussed and decided in the public arena, where at least there is popular control by voting, public debate, and other democratic methods. Consequently, an eminently political and democratic decision-making is completed only by a small intellectual elite that dresses up political issues in a fake legal costume. Pretending that there is no deep (political) controversy around a given matter, the judiciary claims to reach a legitimate “technical-legal” decision on the issues where the most basic disagreements in society are to be found. Important political issues are adjudicated as legal issues. These judicial-rulers are not truly representing the people but are still making decisions for them. Lamentably, politicians seem to like it. In political science, this form of government has a name. It is certainly not democracy.